CALL CALIFORNIA! PASS PROPOSITION 34! Vote “YES” on Proposition 34!! Sponsored by our friends at Death Penalty Focus and other death penalty repeal groups, Prop 34 is the SAFE-California Initiative. It will replace California’s broken death penalty with life in prison without the possibility of parole and will ensure that California never executes an innocent person. California’s death penalty law, like Oregon’s, is a part of the state constitution and requires a vote of the people to change. When that happens, nearly 22% of the nation’s death row inmates will have their sentences commuted to true life. The Golden State’s death penalty system is truly dysfunctional: in 34 years, it has executed only 13 inmates, and currently there are 729 people on their death row. Leading the “YES on Prop 34” Campaign is the SAFE California Coalition, which is supported by law enforcement, murder victim family members and people who have been wrongfully convicted, and is sponsored by a broad coalition of justice organizations. Among the numerous endorsements that Prop 34 has received are those from the League of Women Voters of California, the California Catholic Conference of Bishops, the California State NAACP, the California State Labor Federation, the California Nurses Association and the California Democratic Party. When Prop 34 is passed, California will join Connecticut (2012), Illinois (2011), New Mexico (2009), New Jersey (2007), New York (2007) and twelve other states in rejecting the death penalty, signaling that the “tide is turning” and has come to the west coast. Could Oregon be next? The messages are loud and clear…..the death penalty is unfairly administered; extremely costly; biased against the poor; and prone to mistakes which could lead to the execution of an innocent person. The messengers are the usual spokespeople for peace and criminal justice … plus a surprising number of less-likely voices. Included in the number of prominent citizens speaking out, writing editorials, making speeches and giving testimony are former California Attorney General John Van de Kamp, two-term Los Angeles District Attorney Gil Garcetti, and former San Quentin warden Jeanne Woodford. Many leading conservatives, including Ron Briggs, son of sponsor of the 1998 legislation that established the current California death penalty, point to the wasteful nature of the system. They support Prop 34 to redirect scarce resources to education, social services, and law enforcement programs that effectively and demonstrably reduce violent crime. The time to call, write, email and visit your California friends is now! Passage of Prop 34 will be an immense boost to our chances for repeal in Oregon. Help Oregon by helping California pass Prop 34! Other ways to help California……. The SAFE California Coalition to replace the death penalty with life in prison without the possibility of parole can use the help of Oregonians in two important ways beyond contacting friends and relatives in the Golden State. First, they need money... money to provide the very expensive media campaign going on now to educate the people and get out the “Yes on Prop 34” vote. You can contribute at www.safecalifornia.org or send checks to SAFE California Campaign Headquarters, 237 Kearney St. #334, San Francisco, CA 94108. Please note on your check that you are from Oregon and a supporter of OADP. The second way is to participate in a “telephone tree,” calling voters in California. This is something you can do from your home, at no cost and little effort. 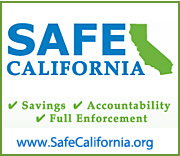 The SAFE California Coalition will supply you with all the information you need, including scripts, talking points, telephone numbers and training tips. To volunteer a few hours of your time during October and the first five days of November, contact Ron Steiner at (503) 990-7060. Like the beautiful leaves turning color in October, Sister Helen Prejean will return for to Oregon for the third consecutive year. In last year’s talk to the Portland City Club, she proclaimed “Oregon is special.” She returns to this “special” place for a 2012 visit during the week of Oct 21st, highlighted by public appearances in Portland, Salem and Eugene. Throughout the week Sister Helen will be teaching classes at the University of Oregon, in Eugene and at the Oregon State Prison, where she continues a writing class with inmates. Sister Helen’s fall visits to Oregon are in conjunction with the University of Oregon’s Savage Chair in International Relations & Peace. You can watch for news of her returning again early in 2013 when the Eugene Opera Company will perform the Dead Man Walking opera and she will participate in several public events. Free public lecture in the Chiles Center, 5000 N. Willamette Blvd. Parking is available for all UP events in the main campus parking lot, accessible from N. Willamette Blvd or N. Portsmouth Ave.
At 5:30 p.m., also open to the public, a traditional Red Mass will be celebrated by Archbishop Vlazny in The Chapel of Christ the Teacher. A Red Mass is a Mass celebrated annually in the Catholic Church for judges, attorneys, law school professors, students, and government officials. The Mass requests guidance from the Holy Spirit for all who seek justice, and offers the opportunity to reflect on what Catholics believe is the God-given power and responsibility of all in the legal profession. Originating in Europe during the high Middle Ages, the Red Mass is so-called from the red vestments traditionally worn in symbolism of the tongues of fire (the Holy Spirit) that descended on the Apostles at Pentecost (Acts 2:1-4). Additionally, Judges of the High Court of England and all doctors of law wore red robes or academic hoods. 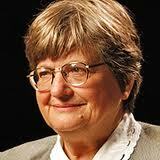 Following the Mass there will be a social reception and discussion with Sister Helen. Contact Jamie Powell for tickets ($40) at (503) 943-7702. Free public lecture. Cone Chapel is in Waller Hall, just across State Street from the Capitol. Following the Willamette lecture, OADP will host a fundraising reception (5:30 p.m.) and dinner (6:15 p.m.) with Sister Helen at the Marco Polo World Restaurant, 300 Liberty St SE, Salem OR 97301. A limited number of $50 tickets are now available. Call (503) 990-7060. Free public lecture on compassion in our contemporary life; Erb Memorial Union, 1228 University St., Eugene OR 97403. Rotary Clubs in the northern third of Oregon and the very southwestern part of Washington have made a commitment to a peace initiative that has the potential to greatly impact the discussion of repeal. “Making Peace”, the title of the February 2012 Rotarian Magazine, suggests Rotary International is ready for a broad orientation toward peace building. The focus of the local effort is that peace begins in our homes, workplaces, schools and communities. Thinking of “world peace” globally is a bit daunting, but when brought down to the local level, it is something that members can get their arms around. The Rotary peace initiative was started by third generation Rotarian, Al Jubitz. The Jubitz Family Foundation has set a course for a “unique and meaningful role in building peace locally and world-wide.” When over 1000 Rotarians were surveyed and asked to define “world peace,” the responses included “no wars” and many other issues that suggest work that can be done in members’ home communities. “Mutual harmony,” “resolving conflict by peaceful means,” “justice and equality,” “fulfillment of basic needs” and “end of poverty” were also on the list of responses. The initiative also pointed out several trends that indicate that peace is possible. One of those trends is the abolition of the death penalty. By tying repeal of the death penalty to peace, the members of Rotary can look at a strictly local Oregon issue and make an impact in education around the many issues raised by the current death penalty and criminal justice laws in Oregon. The Rotary initiative has a close relationship with faculty members in Conflict Resolution at Portland State University and the University of Oregon. OAPD is also becoming a valuable resource to the clubs in District 5100 by providing programs that provoke discussion and teach the facts about the death penalty. Oregon is one of 33 states that still have a death penalty. Public sentiment around the country is moving toward abolition, with five states replacing the death penalty with life without parole since 2007. California has repeal on the November 6, 2012, general election ballot, and Oregon voters may have the opportunity to seek peace by repealing the death penalty in the near future. OADP is presently seeking opportunities to provide speakers and lead discussions at individual Rotary Clubs throughout District 5100. Those discussions will center around education and mutual respect for personal opinions. It cannot be assumed that every Rotary member has formed an opinion about support or opposition to the death penalty. But, as people seeking peace, the hope is that they will all be in favor of open and honest discussion. It is our belief that support of the death penalty is difficult when all the facts are known. Education and knowledge lead to mutual harmony, which is a cornerstone of this program. If you are a Rotary Club member, or know a Rotary Club member, encourage them to invite OADP to provide a program for their individual club. There are over 4,000 members in 76 clubs in District 5100. Rotary has a long and distinguished record of community service and support of the youth of their community. Now they are moving boldly to widen their influence in achieving world peace. 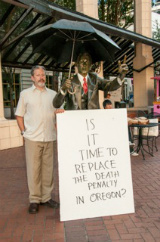 Mark Kramer at Portland rally Aug 30. Between now and the end of the year, OADP and its partner organizations will develop the first stages of a formal strategic campaign plan for repeal of the Oregon death penalty. This planning process will go beyond the traditional OADP functions of educating the public about the failings of the capital punishment system, and will focus on the details of the ballot measure, the timing and method of bringing it to voters, and other issues vital to winning a statewide campaign. In addition to the wisdom and experience of our partner organizations, we must have the seasoned and informed advice of political professionals who have waged successful ballot measure campaigns in Oregon over the years. We are blessed to have a number of such professionals in our state who are firmly committed to our issue and are willing to work with us at extremely reasonable rates. We have engaged two of them for the work to be done this fall. We need to raise $7500 to pay for their services, and ask that you consider making a special donation at this time for this purpose. Last winter, you helped us pay for polling research that has been extremely helpful and which will inform our current planning process. This is the next step in the process toward repeal of Oregon’s death penalty. We can’t do it without you. Please give generously to help us take this necessary step, either by visiting the “Donate” page of our website, www.oadp.org, or by sending your check to OADP, P.O. Box 361, Portland OR 97207. At this stage of our work, your contributions continue to be tax deductible. Thanks for your dedication to our mission! 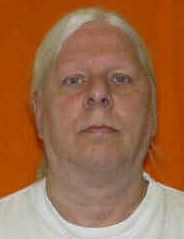 On September 6, Michael Keenan was released from prison after spending about 20 years on Ohio's death row. 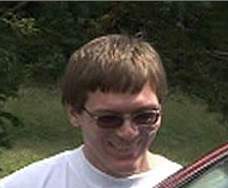 Keenan and co-defendant Joseph D'Ambrosio, who was exonerated in April, were convicted of the 1988 murder of Tony Klann. Keenan's first conviction was overturned in 1994, but he was retried and again sentenced to death. His second conviction was overturned earlier in 2012 due to prosecutorial misconduct. Prosecutors withheld evidence that could have exonerated Keenan and D'Ambrosio, including police statements that discredited testimony from the only eyewitness to the crime and evidence that the man who led police to Keenan had a possible motive for killing the victim. A Cuyahoga County judge dismissed all charges against Keenan and barred a re-trial, but the state may still appeal that decision. If today's decision is upheld, Keenan will likely be added to DPIC's Innocence list. Since 1973, 140 people have been exonerated and freed from death row. Six of those exonerations have been from Ohio, including D'Ambrosio. A new report by Rob Warden, Executive Director of the Center on Wrongful Convictions, explores the conditions that led to the end of Illinois's death penalty in 2011. Warden says abolition came about because of a series of fortuitous circumstances, but also because of the work of countless attorneys, academics, journalists and activists who took advantage of these developments. The cavalcade of exonerations from death row, including the high-profile release of Anthony Porter, who was freed through the work of journalism students, underscored the flaws in the death penalty. Police abuse and prosecutorial misconduct caused an erosion of public confidence in the death penalty system. Finally, the report of the Capital Punishment Reform Study Committee, finding that the state could have saved $200 million if it ended the death penalty in 2000, greatly impacted the movement for repeal. 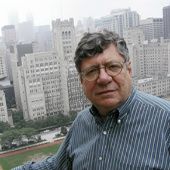 Warden noted that what happened in Illinois carried over to other states and said he believes, “The future of the movement [to end the death penalty] hinges on how the arguments that carried the day in Illinois, New Jersey, New Mexico, and Connecticut resonate in the thirty-three states where death penalties remain in force but have fallen increasingly into disuse.” The report is published in the Journal of Law and Inequality.